There’s a church located in one of the largest cities in the country, both in terms of geographic size and population. A coastal area with beautiful, sandy beaches and a treasure trove of history close-by, there are those who consider it “chic” and “hip,” a rather cosmopolitan city, even with its small-town roots and flavor. Some say it’s a special place, with its strategic seaport and major highway to other places that runs right through it. Chicago on the banks of Lake Michigan? Portland, Maine? Jacksonville, Miami, or Ft. Lauderdale, Florida? Long Island, New York? No, not quite. But we can find quite a few parallels between these American cities and Thessalonia, one of the few New Testament cities that still is around today … as well as between the church at Thessalonia and some of our churches here and now. Each are worthy of praise and thanksgiving to God. That’s exactly what Paul was doing – celebrating the church – in his epistles to the people at the church of Thessalonia. And there are other parallels worth noting, too, between the places where we live and Thessalonia. Comparable to many U.S. cities and suburbs, it had a mixture of wealthy people, a small middle class, and then a large majority of poor people like us: slaves to the system that surrounds us. There was tension and turmoil in Thessalonia. Rampant crime. Graffiti, obscene and objectionable words and images could be found on the walls of buildings. Murder was commonplace and divorce frequent. And, depending on whose standards were the measuring stick, morality, at best, was questionable. Uh-huh: Very much like where we live! Yet in the self-serving sea of crime-ridden culture was the Thessalonian church, a little island to the glory of God. I like to think the same can be said about some of our churches. No doubt it pleases God that diverse bodies of Christ come together to worship, pray, and praise the glory of our loving Creator. Another profound parallel for me … perhaps the most critical and striking one in terms of similarities, is that the Thessalonian church was a new and different kind of church, made up of new and different people. 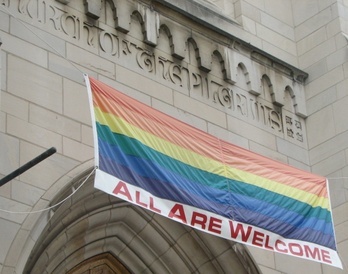 Just as Thessalonia was the first church whose congregation essentially comprised non-Jewish people, many of our open, progressive, inclusive, and affirming churches among the first churches in their neighborhoods ministering to LGBT people and their fair-minded, open-hearted allies. 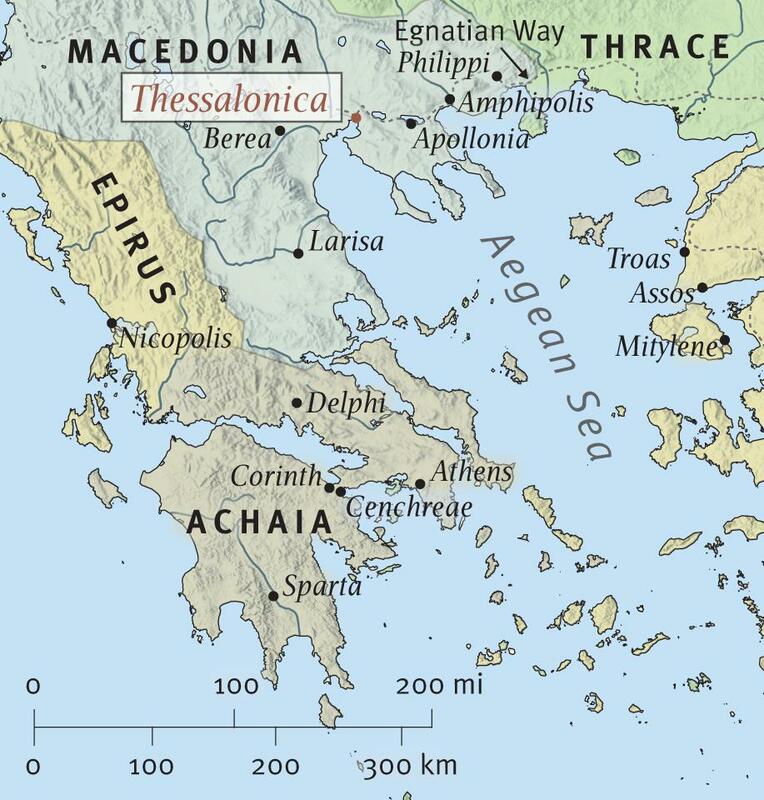 During his second missionary journey, after picking up Timothy along the way, the Apostle Paul arrived with Silas in Thessalonia in 48 or 49 AD. They left about a year later. In the midst of trials and tribulations, persecution and hostility, Paul writes his letters to this church which he’s obviously very fond of, while still living in Corinth. In I Thessalonians, Paul launches into what might be the longest section of thanksgiving found anywhere in the entire New Testament. He is absolutely pumped about the church in Thessalonia. Although he is obviously quite pleased with this church, there’s another reason I suspect that he spends so much time expressing his thanks: the members of this church lack confidence in their personal salvation. For me, that’s another parallel between the Thessalonian church and today’s churches that minister to LGBT people. As a pastor who’s listened to the doubts and concerns of more than a few of you, I know there’s still some hesitation, a lingering doubt, about whether God really does love and accept you “despite” your sexual orientation … just as you are. With all my heart, I believe that God does! For his part, the Apostle Paul spends time affirming those in the church of Thessalonia. Despite their differences – they’re mostly Gentiles rather than Jews – Paul is confident that the Thessalonians are loved and accepted by God, just as I am equally confident that the same can be said of you, my LGBT brothers and sisters in Christ. Like the church at Thessalonia, our own churches still aren’t really typical of many churches today. Nevertheless, I believe that these churches represent God’s ideal—the type of church God wants every church to become: wonderful places to be! 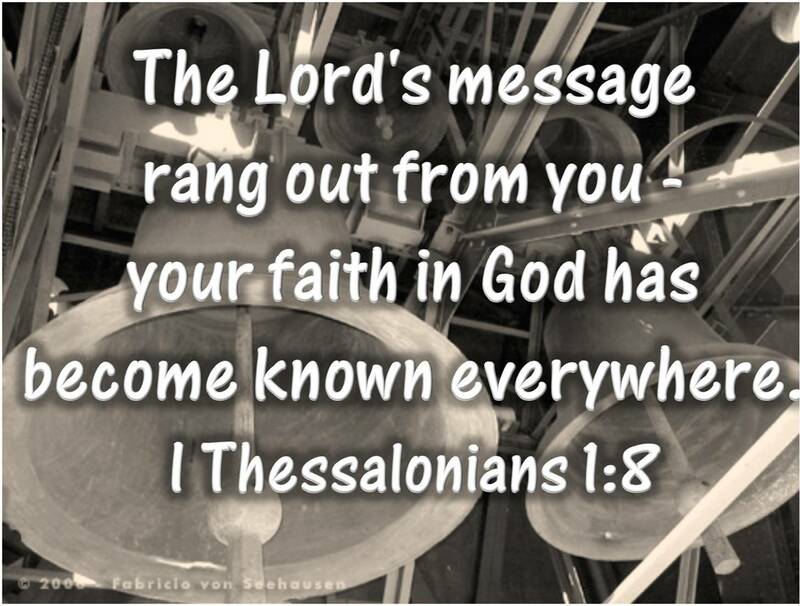 The Thessalonians became a living example to other believers, we’re told in verse 7. In other words, it’s not enough to just live our lives among other welcoming, inclusive, and affirming Christians … in isolation. Sometimes, we’re called to be more direct in using and channeling our influence with others. For most people to believe in God, or to believe in God anew — especially people within the LGBT community — the personal touch is needed. That means we need to be forthcoming about what we believe, sharing our faith with full conviction that we are truly loved by God and that our God is worthy of all praise! Too many LGBT people have turned away — or been turned away — from church and, in the process, find themselves turned off to the God that created them and continues to love them unconditionally. Hurt, bigotry, judgmentalism, condemnation and rejection from much of the religious establishment indeed are what brought many of us to new and different kinds of churches focused on love. It’s up to us now to be goodwill ambassadors of Christ from churches like ours … to share the good news, sensitively and sensibly, with our brothers and sisters. After all, isn’t that what affirming our “Pride” is really all about? It’s not enough to be “closet Christians” who come to church and worship for an hour or so among ourselves on Sundays. We’re expected to tell others the gospel truth about God’s love for them … inviting them to experience this amazing grace and spiritual connection for themselves. And, yes, it is difficult to talk to others about something so sensitive and personal as religion. That much we share with our straight friends in churches across the spectrum. It’s much easier to hand someone a brochure, point them to a Website, or ask the pastor to intercede by conducting a cold call. For us, especially – for you and for me – it’s even harder to talk about the God we believe loves us … much less admit that we do go to church. It’s not unlike coming out of the closet again … something many of us already did in terms of our sexuality and now are being pressed to do about our spirituality. 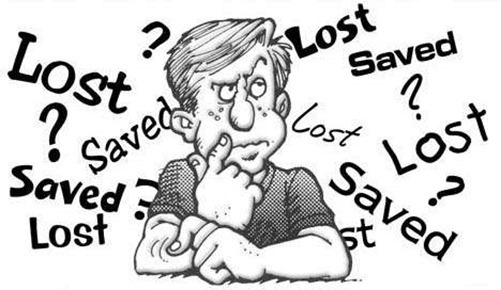 Still, we’re called to speak with full conviction, aware that God has given us a very special mission field to which few are called and even fewer choose to go. People saw a change in those who worshiped at Thessalonia. They had become better people – more loving, compassionate, giving, and thankful – because of their faith and their beliefs. We all know what happens when people are branded as being different: they’re talked about … and lots of people talked up the church at Thessalonia, telling others about the amazing things that were happening there. The history of the Thessalonian church is a story about what can happen when everything goes right, the way God wants it to be: Paul and his team quickly planted a vibrant and healthy church that reached out to others, touching and turning many lives around for the better. My own hope is that we can be churches like the one at Thessalonia, places people want to be … because God is here among us, helping and healing and loving and blessing and making us a community of believers to praise.